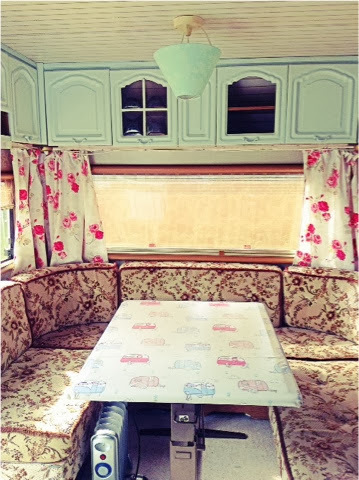 Evening peeps, just a little pic of Hans, our vintage caravan. Fabric & am now making a matching pellmet. Until I was happy with the gorgeous mint shade. Pink to deep red dance prettily in the front gardens.